Whether you’re a new photographer or an experienced pro, this book will guide you through the labyrinth of options and choices you face from the moment you see a photo opportunity to the time you share your final results. And it will help you minimize the time needed to fix your mistakes along the way. 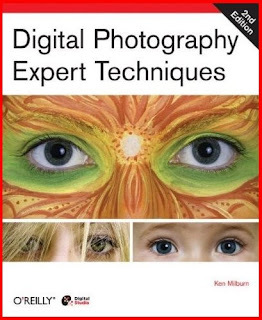 Through step-by-step procedures based on years of experience, professional photographer Ken Milburn describes a complete workflow sequence that begins with essential equipment and preparation, takes you through detailed editing techniques, and ends with your finished images looking the way you want, ready to be shown to the world. This completely revised edition of Milburn’s original bestseller teaches you everything you need to do before, during, and after the editing process. You’ll also learn advanced techniques with Photoshop CS2 and Photoshop Elements, though this isn’ t a typical Photoshop how-to book. Milburn’s workflow strategy ensures that high-production jobs are done professionally with a minimum of frustration. With Digital Photography: Expert Techniques, you’ll become a better (and more profitable) photographer.